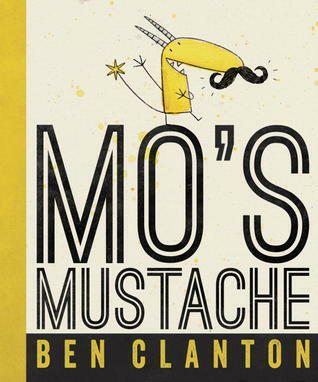 Ben Clanton's Squiggles and Scribbles: MO'S MUSTACHE GIVEAWAY! 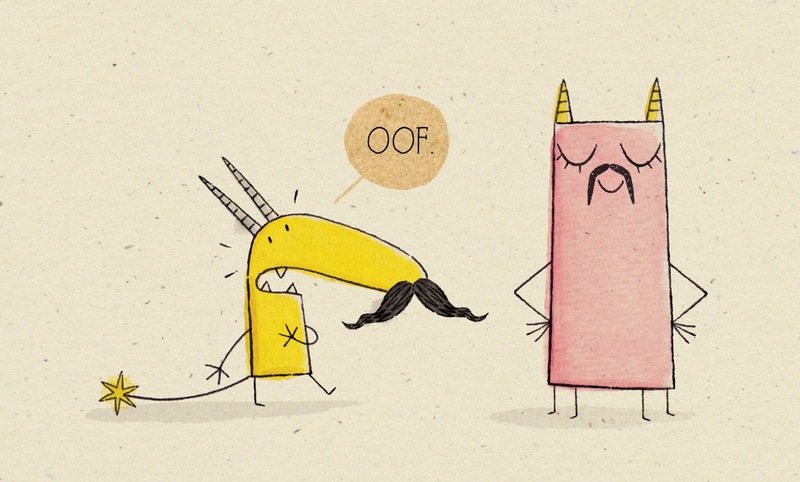 Unfamiliar with the MOnth of MO? In a nutshell, MOvember is an annual event in which people grow mustaches/moustaches to raise awareness (and funds) of/for prostate cancer and men's health in general. The goal is to "change the face of men's health." No, I am not growing a mustache. I'm afraid the only thing I'd bring awareness to is my inability to grow adequate facial hair. 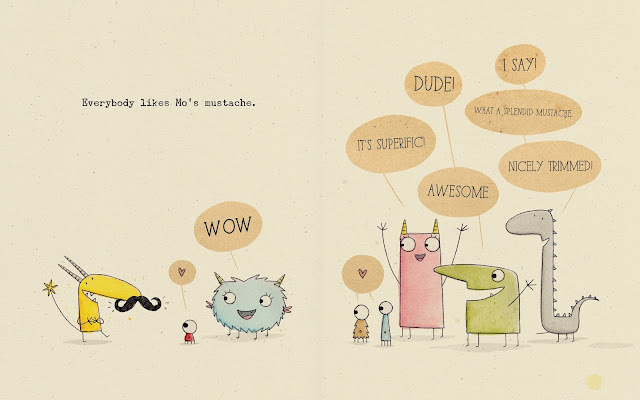 However, to celebrate the start of the month and the release of my new picture book MO'S MUSTACHE I am giving away 5 signed copies of the book. AND some mustaches (for those of us who can't really grow them). As you can see, you have until December 1st to enter. But why wait?! ENTER NOW! AND get a start on that mustache of yours. New to growing a mustache? Or a bit rusty? Here is a guide to help you out. That manual is on the back of the book's jacket. Awesome? Pretty much. 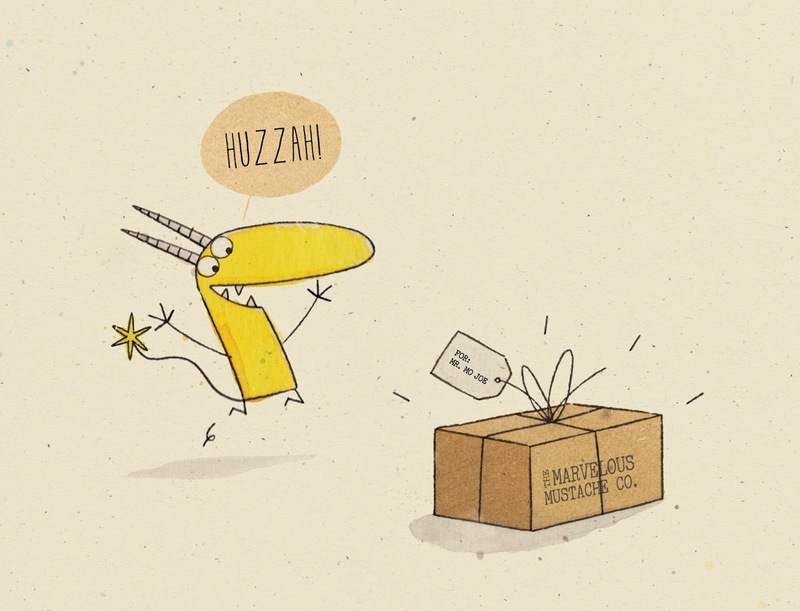 And HERE (and below) is a bit about the book . . .